Size: 28cm x 19cm Inflates and deflates Hose with 3 nozzles Full colour box This item is depe.. Size: 48cm Double action Inflates and deflates Hose with 3 nozzles Full colour box Th.. 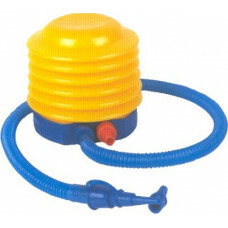 Size: 30cm Double action Inflates and deflates Hose with 3 nozzles Full colour box This item..
DC electric pump Inflates and deflates 3 nozzles Plugs into cigarette lighter Full colour box ..
AC 220-240 volt Inflates and deflates 3 nozzles Full colour box This item is dependent on..
Max power pump AC 220-240 volt Inflates and deflates 3 nozzles Flexible hose Full colou..